As a sizable suburb of Dublin, Rathmines has a deep seated place in both the cultural and political history of the city. 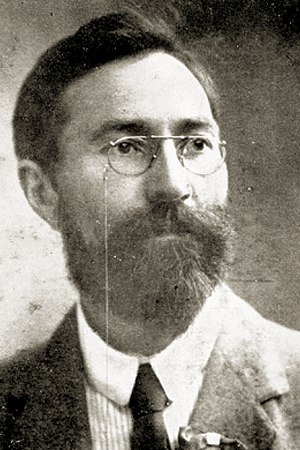 Encompassing both contexts is the death of the famous writer, pacifist, and suffragist, Francis Sheehy Skeffington. He was killed during the Easter Rising of 1916 at Portobello Army Barracks, not far from his home in Grosvenor Square, Rathmines. Originally from County Cavan, he was the only son of Joseph Skeffington and Rose Magorian. Francis Skeffington was educated in Dublin by the Jesuits, and then enrolled in University College Dublin. It was at UCD he befriended James Joyce, Oliver St. John Gogarthy, Thomas Kettle, and his future wife Hanna Sheehy. Francis Skeffington was a well known figure in UCD as he was part of the debating society in the college. He also organized petitions for women to be admitted into the college on the same basis as men. Skeffington was also a pacifist, feminist and socialist. His early life after college saw him involved in many political movements in Ireland. It was in 1903 that he married Hanna Sheehy. She was the daughter of David Sheehy,a Parliamentarian and land agrarian. As a show of solidarity to the feminist movement he took the name Sheehy Skeffington after their marriage. His wife was the main bread winner in the home as she held a full time teaching position while he worked as a freelance journalist. The couple were an integral part of the Irish women’s suffrage movement and also lobbied for women’s rights in Britain. 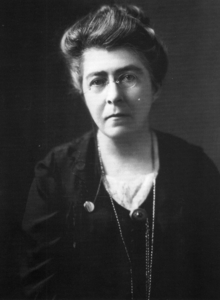 In 1908, Skeffington and Hanna helped establish the Irish Women’s Franchise League and also gave speeches on their behalf during the 1913 Strike and Lockout in Dublin. 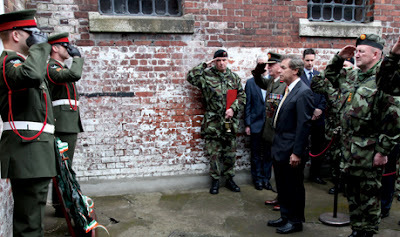 It was during this period he helped to set up the Irish Citizens Army with James Connolly and Jack White. He became vice chairman of the ICA for a time, but left the group when he became aware of James Connolly's intention to align the group with the Irish Republican Brotherhood. In 1915, Skeffington made a famous speech from the dock after he had been arrested for making anti recruitment statements for the First World War. The speech was about the rights to the freedom of speech, and the introduction was written by George Bernard Shaw. In 1916, activities surrounding the Easter Rising would be fatal for Skeffington, his wife, and young son, Owen. As fighting took place across the city on the night of Tuesday the April 25, 1916, Skeffington tried to organise groups to prevent looting taking place throughout the city. He was arrested for no obvious reason, but was later detained because he admitted to being a sympathiser of the insurgents behind the Easter Rising. Later that night he was sent out as a hostage with a raiding party from the Royal Irish Rifles from Rathmines to Portobello. Throughout the raid his hands were tied behind his back. The raiding party was trying to find rebels or sympathizers to the rebellion. This task had been instructed by Captain J.C. Bowen Colthurst. On the same night, three other men were arrested by the raiding party; two journalists and a Sinn Fein politician. The next morning, Sheehy Skeffington and the two journalists, Thomas Dickson and Patrick MacIntyre were shot without trial by firing squad. They were buried within the grounds of Portobello Barracks. In an effort to cover up this injustice, Bowen Colthurst raided the Skeffington home in Rathgar to try and find evidence of his participation in the rising, but none was discovered. Bowen Colthurst would later be imprisoned in Broad Moor insane asylum. He was released 19 months later and retired to Canada on a full pension. Skeffington’s body was given back to the family and he was buried in Glasnevin Cemetery on 8thof May 1916. There is a plaque in the grounds of Cathal Brugha Barracks to honour his life and death.